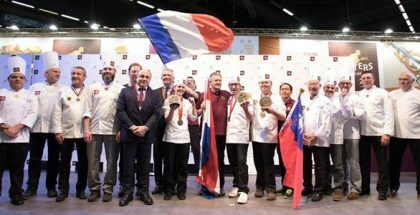 Born in a family of pastry chefs in Epinal, at only 21 years old he triumphed at the Festival des Croquembouches competition, becoming the youngest chef to receive the award. 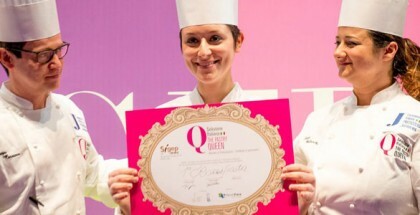 Taking advantage of his initial success, Lambert was named pastry commis in Pâtisserie Sébastien Bouillet in Lyon. Later he worked with Christophe Michalak at the Hôtel Plaza Athénée in Paris, where he supervised the desserts menu of the illustrious hotel and the legendary afternoon tea. Now, in the Caprice, he creates pieces like Raspberry (photo on the cover) that reflects his style when playing with the structural possibilities of seasonal fruits, sugar, egg whites, flour, and chocolate. With almost 100,000 followers on Instagram, he has achieved a cult following that goes beyond Asia and France. With this new recognition, in which he succeeds Kazutoshi Narita, his demand for desserts will surely increase.